Does your dog have to spend a lot of time at home alone? What I never thought could exist now does, a tv channel dedicated to your dog – for your dog called DOGTV. The channel is not for people, it is literally designed for your dog to watch. Currently DOGTV is only available in San Diego, but a nation wide release is in the works. It is a pay channel, and it will cost about $4.99 a month. The cable channel is on air 24/7, and is designed to “stimulate, entertain, relax and habituate dogs with shows that expose them to various movements, sounds, objects, experiences and behavior patterns, all from a dog’s point of view.” The company’s website says dogs left alone can develop separation anxiety, boredom, or depression and this is a tool that can help prevent these problems. The channel’s programming was scientifically developed to capture a dogs attention by a team of people including media professionals, pet experts, and trainers. The content has different segments which can be relaxing or stimulating. Sounds are designed to be relaxing and at a range safe for dog ears. The channel is meant for all breeds. It is recommended that you watch the channel with your dog the first time just to get them used to it. DOGTV is recognized by the Humane Society of the United States. 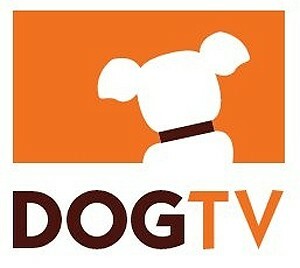 If you would like to learn more about the channel, how it works, and watch more segments please visit dogtv.com.